Really does seem them money was spent on kids sets as there only one ident with different lengths. Another outlook on the studios and presentation. I believe the links are pre-recorded as the one shown at 0:16 was shown a few minutes ago (according to my Gaelic friend) as are the ones on OP. 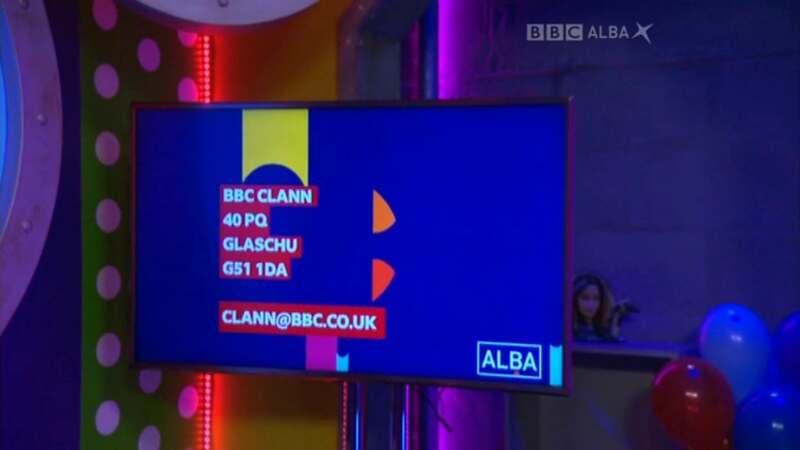 While the studios are budget and the hosts are minimum, it's nice to see the brand being incorporated into the Gaelic channel. Note: The BBC on the logo behind them is the wrong font. Any complaints about the production values, need to be addressed to the children's department who produces this. The last slide on that tweet… urgh! My Gaelic isn't what it could be, but the Twitter feed also suggests that An Là had started broadcasting on Saturdays and Sundays now, too. Just seen the new BBC Alba idents on The Ident Gallery, they seem to lack that strong musical motif at the end, leaving them feeling rather empty. I can't believe the old idents were clocking up to 10 years already! They certainly aged very well.